Safety stops at the front and back of our plates and replacement feet keep your expensive lens from accidentally slipping out of the quick-release clamp. If you wish to use only one or neither of these stops, simply remove them with the hex key provided. Note to Arca-Swiss Z1 users: The safety-stop security feature on our plates does not work when used with the Arca-Swiss “double-decker” clamp. 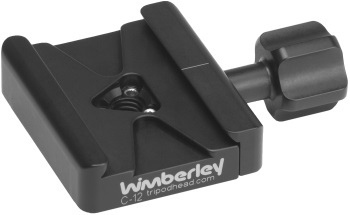 The C-12 replaces our C-10 Clamp. 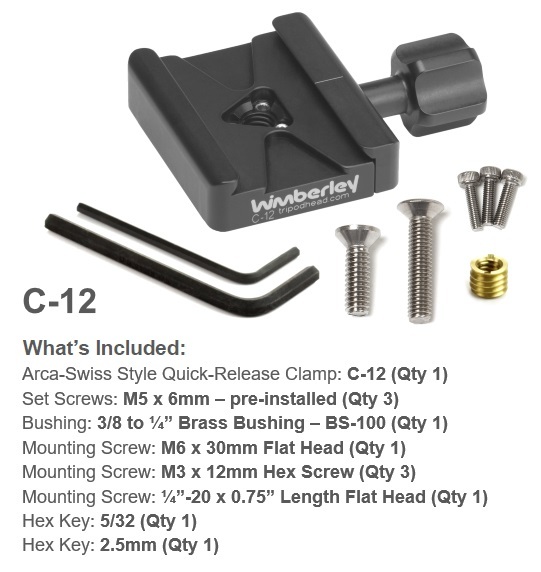 The geometry of the C-12’s central mounting holes, combined with the large selection of fasteners that are included with the clamp allow you to securely attach the clamp to a much wider variety of equipment than any other clamp on the market. It is important that you use the removal and installation instructions on our clamp compatibility section to determine which fasteners are needed for your particular application. Our clamps have a unique tongue-in-pocket design that protects internal parts from dust and grit. The tongues are nearly twice as long as those on conventional Arca-Swiss style clamps. This added length counteracts the tendency of the moving jaw of the clamp to hinge backward during clamping, thus keeping the jaws aligned with the geometry of the plate. This eliminates unwanted bending stress on the threaded stud. A captive knob is designed in such a way that the user cannot accidentally remove the knob during use. There is a stop screw located on the end of the stud to keep the knob from unscrewing from the threaded stud. Two shallow channels extend from the sides of the clamp and stop just short of the central tapped hole. 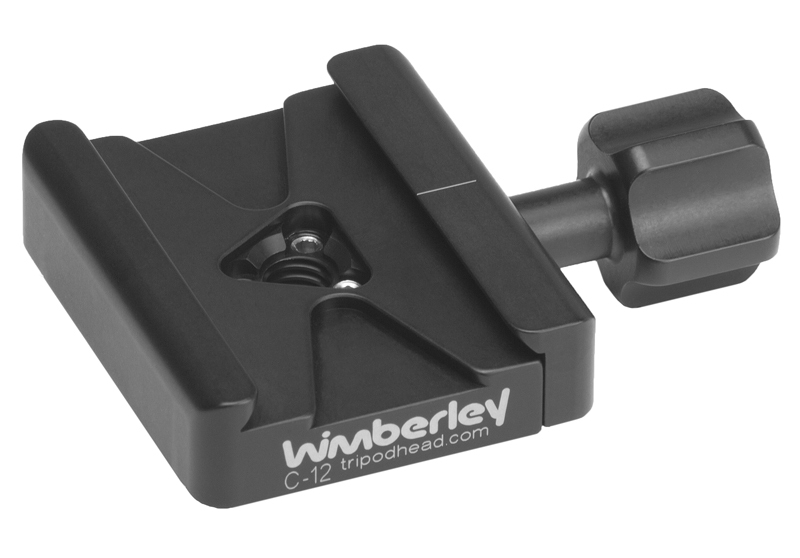 These channels allow greater fore-aft adjustment when using the safety stops on Wimberley quick-release plates.